It was constructed in 1976. Pipe yard (6-inch pipe)for Phase 1 construction in 1976. Plow train during Brookings-Deuel Rural Water System Phase II construction. 150,000 gallon storage tank at the Phase Tank pumping station northwest of Toronto. 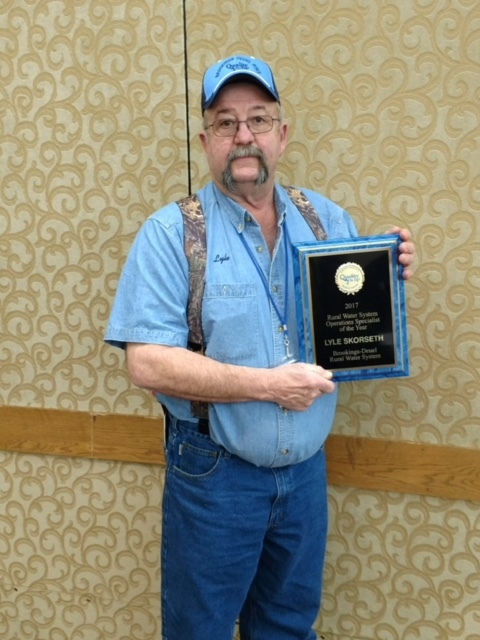 Lyle Skorseth - 2017 Rural Water System Operation Specialist of the Year!